We are of the belief that age is just a number! The key to adding trends or edgy style to your look is to do it in a way that shows off your best self. Your style should feel effortless and reflect the fabulous woman you are! See our tips for styling distressed denim at any age. Distressed denim is a statement piece on its own, so keep your look simple with classic, streamlined pieces in seasonal hues. Even if loud, halter-neck blouses are having a moment, keep your look toned down with pieces that don’t steal the show away from your distressed denim. 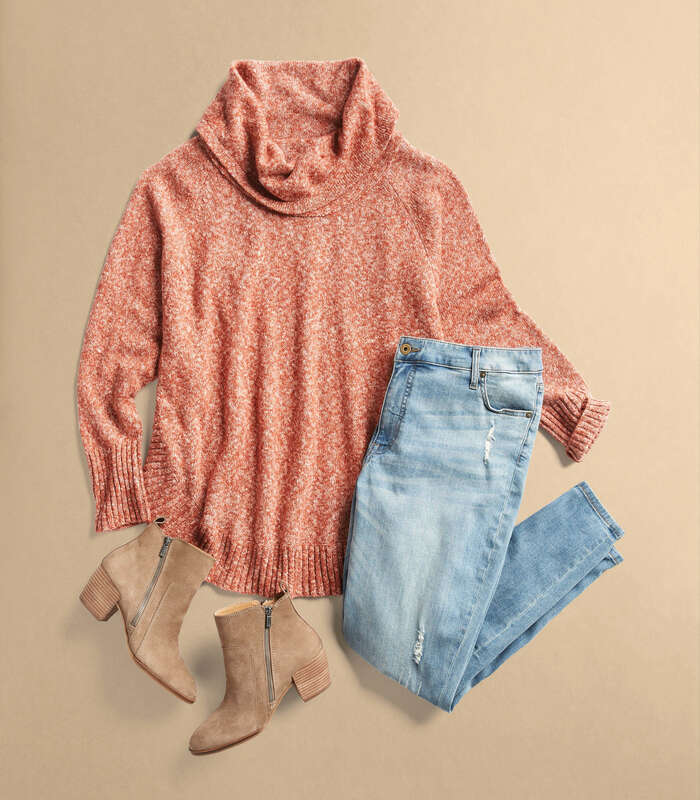 Is your go-to look a knit tee and your ripped skinnies? 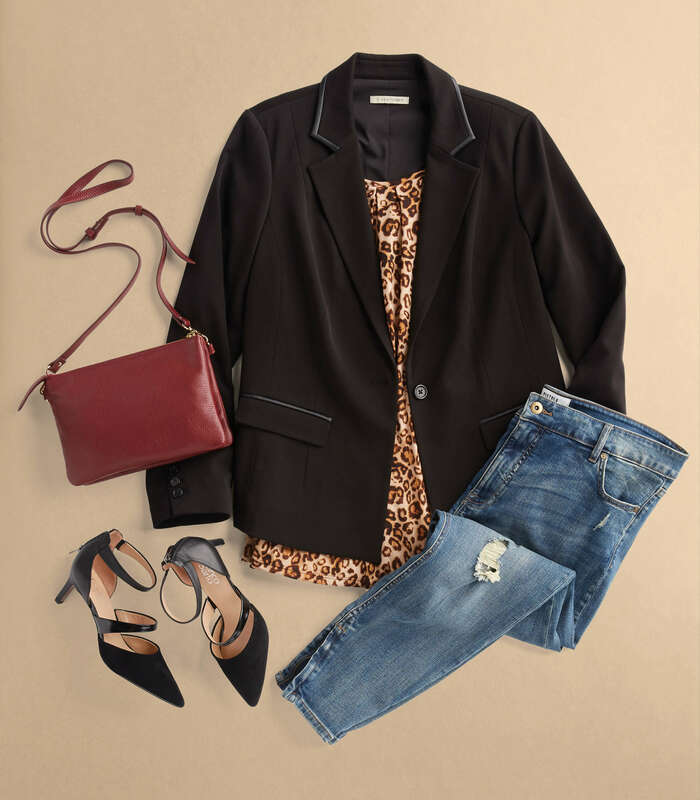 Jazz it up with a blazer and some delicate layered necklaces or front tuck a button-down and finish with a sleek D’Orsay flat. A chic, monochromatic style lengthens your overall frame and gives you that full-look feel from head to toe. Try black distressed skinnies with black boots and a dark grey sweater or rock those black jeans with a black plaid top. Try your medium wash distressed denim with a navy blouse or a chambray top. We can’t wait to see how you highly wear your distressed denim with confidence! Just remember, always have fun trying out new outfit combinations!